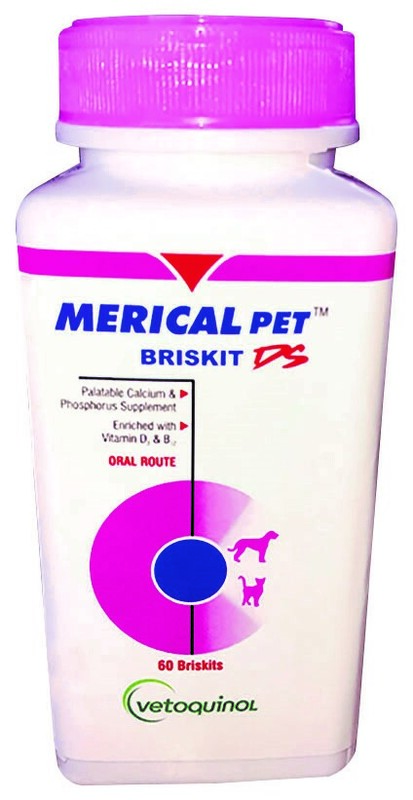 Merical Pet DS helps in development of bones & teeth in puppies.Its helps preventing rickets in puppies.Merical pet DS promotes the overall skeletal health. It also supports in preganancy & lactation period. Dogs: 1 briskits per day for 10 kg body weight .